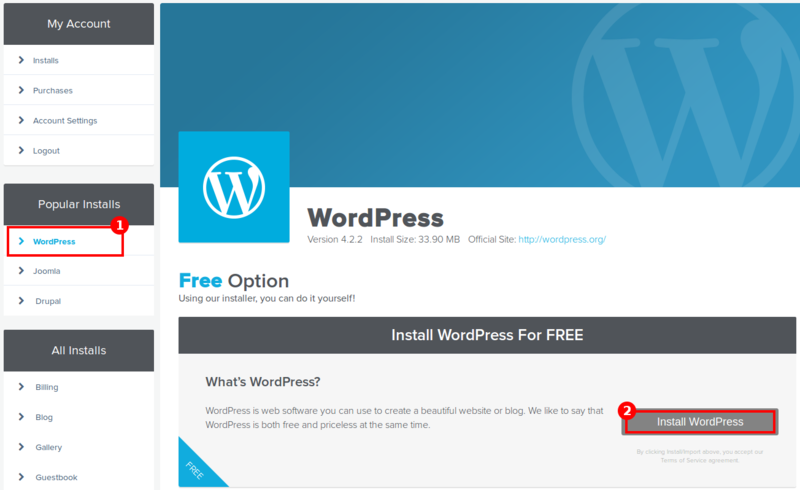 WordPress is one of the most popular blogging platforms around for good reason. It is easy to install and features an attractive, user-friendly interface. 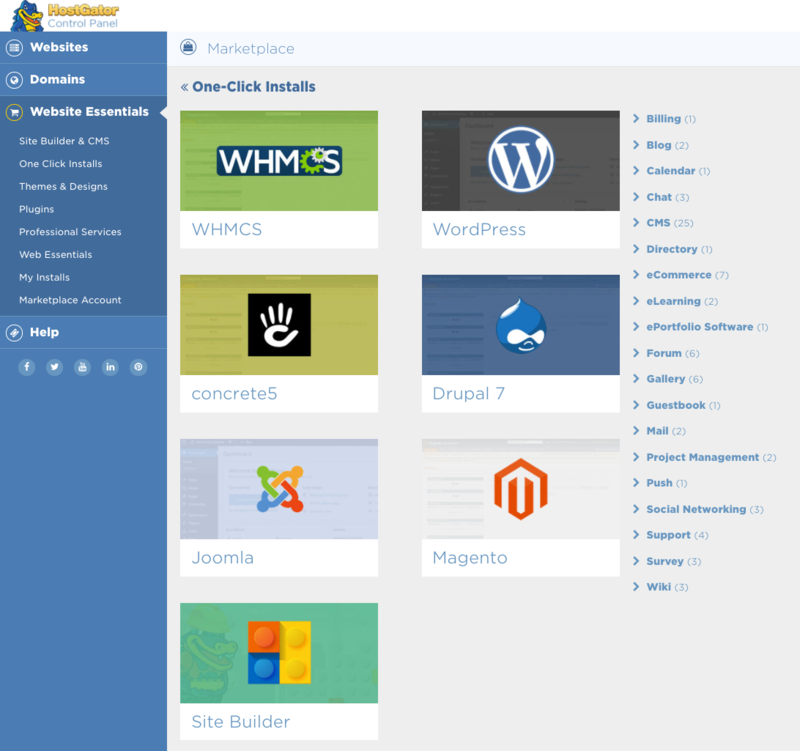 At HostGator, you can install WordPress through Quick Install powered by MOJO Marketplace or manually. 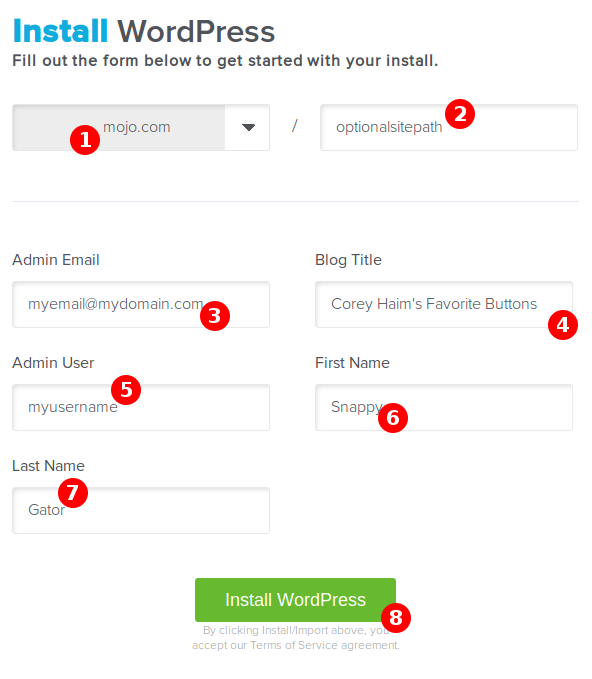 In the following tutorials, we'll cover the QuickInstall route for a WordPress self-hosted installation. It's a bit easier than a manual installation, and it only takes a click or two! Use the following links to navigate to your hosting plan type. Click the orange Install button when you're ready to proceed. If you do not receive an email with your login information, please contact us via phone or Live Chat. Visit our login tutorial for more information on how to log into WordPress. The sub directory you would like the site to load from, if desired. Example: Should you wish your WordPress URL to be mydomain.com/site instead of just mydomain.com. Your site will always display this extension if you enter one. If you do not receive the login information at the email address you provided during the installation process, please feel free to contact us via phone or Live Chat.